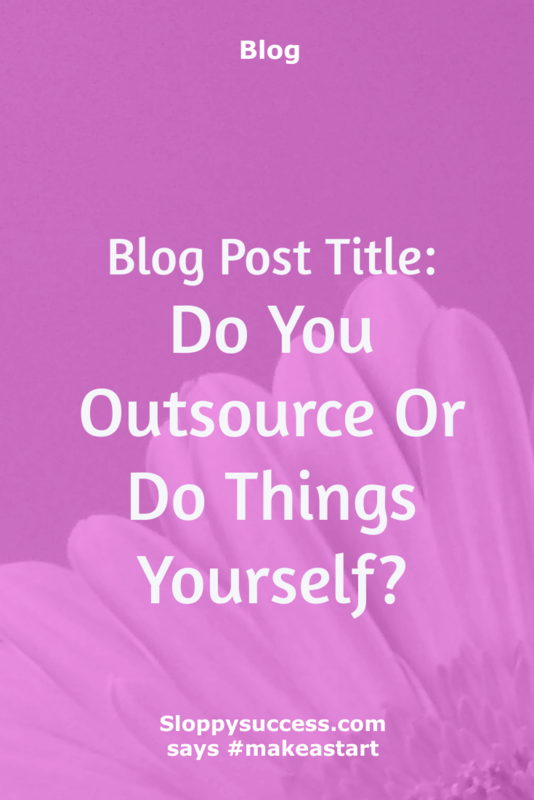 Do You Outsource Or Do Things Yourself? If you have the skills to do it. If you can you afford to do it yourself? 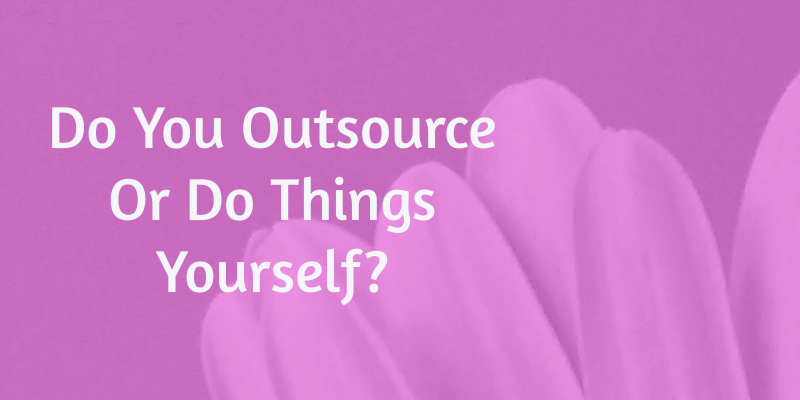 If you want to improve your skills you can opt to do it yourself rather than outsource. This can be done in the form of a personal challenge to be completed within a specific time frame. Do you set challenges for yourself? Do you do this when looking to learn a new skill? Or are you looking to improve on a skill you already have? In setting up and running a business, there are lots of issues to overcome. Some of them are easy to rectify and others needed more time and effort to correct. When rectifying issues I face in my business, a question I ask is whether I should get someone else to fix the issue or if it is something I can do myself. How much would it cost to get someone to fix the issue? Is it a one-time issue or is there a chance it will occur again? Do I want to spend the time figuring out the issue and coming up with a solution? Is it cheaper for someone else to do it rather than me doing it? Needing regular posts for a site, I looked to outsource the writing. The results I got from the writers I used were hit and miss. Some were good, some were awful and some were so bad, it’s not worth talking about. From having to re-edit the work submitted to make it better and in extreme cases rejecting what was submitted as sub par, I got to the point where I felt I could do a better job. This began my writing challenge where I committed to writing 500 words a day for 30 days. The challenge went really well, and now, I am much more comfortable writing posts for my site and other sites. My writing is by no means perfect and I do make some silly errors and I am constantly learning about punctuation. Nonetheless, it is a skill I am constantly improving. Now, rather than getting someone to write my posts, I am exploring using proofreaders or apps like Grammarly to help me with readability. Promoting my site was not something I knew how to do. Heck, I still don’t feel I have this side to running a business mastered. The option here was to outsource promoting my sites or learning how to do it myself. The decision came down to how I would fund paying someone to promote my sites when there was absolutely no money coming in. There was also no money in the budget for paying someone either as my business set up cost money was not spent very wisely. In this area of running a business, I opted to learn how to use social media and social platforms to promote my sites. Opting to start with Twitter as it seemed much easier to get followers than Facebook, a target was set to get followers within a specific time frame. A plan was put together on what was going to be posted, the posting frequency, who to follow, hashtags to use, whose followers to follow, selecting specific people’s tweets to like and comment on regularly. Doing all this got me traffic to my site and helped me achieve my followers goal. Once the Twitter goal was accomplished, the next platform was Instagram. Following a similar process, the number of followers on my account increased as did my likes. Similar to promotions, I also do my own marketing. I am still looking for ways to improve this skill as I am not a natural born marketer. Having said that, I am getting more comfortable marketing my business. Defining target audience has helped with this even though my target audience keeps being revised. It is questionable if doing these things myself is a good use of my time. Who knows. I could have paid someone to do this and spent the time looking for a way to generate income streams instead. Here is the thing though. 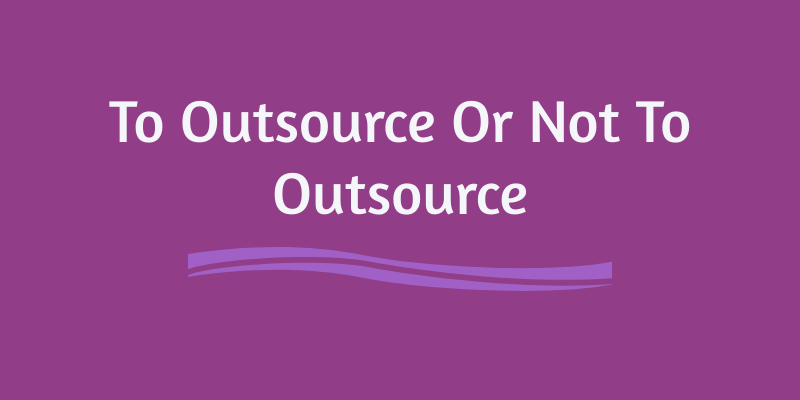 I could have spent all the income generated on outsourcing which would have left my business cash flow no better off. Plus, being inexperienced in these areas would have meant I would not have been clear on what tasks to outsource so I could get the biggest bang for my buck. Dabbling in these areas has given me the confidence in knowing precisely what questions to ask when looking for people. This was actually the case when someone offered their services to me. Knowing what the specific outcome I wanted, I was able to ask specific questions on how they would go about achieving the outcome I desired.